You wouldn’t usually catch me signing up for a bus tour as they are surely not my thing. However things are a little different in the Dominican than back home in Canada. What is classified as a bus tour there is an open air all terrain vehicle – think African safaris style jeep on steroids. Informing me that we would be visiting the jungle, cruising down a river on an giant raft and eating lobsters and I was on board. I’m from Nova Scotia so I simply can’t resist a good lobster. 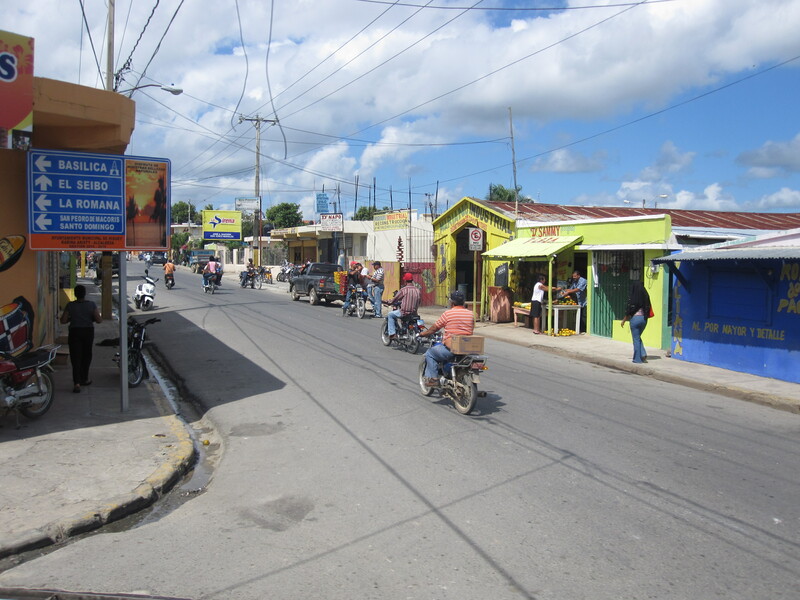 We set out from our resort and before long we were in the jungle after passing sugar cane fields and driving through the crowded moped frenzy city of Higuey. I have never seen a city with so many scooters in my life – no stop signs and as many as 5 people on one bike, I kid you not. On your mark, get set – GO. 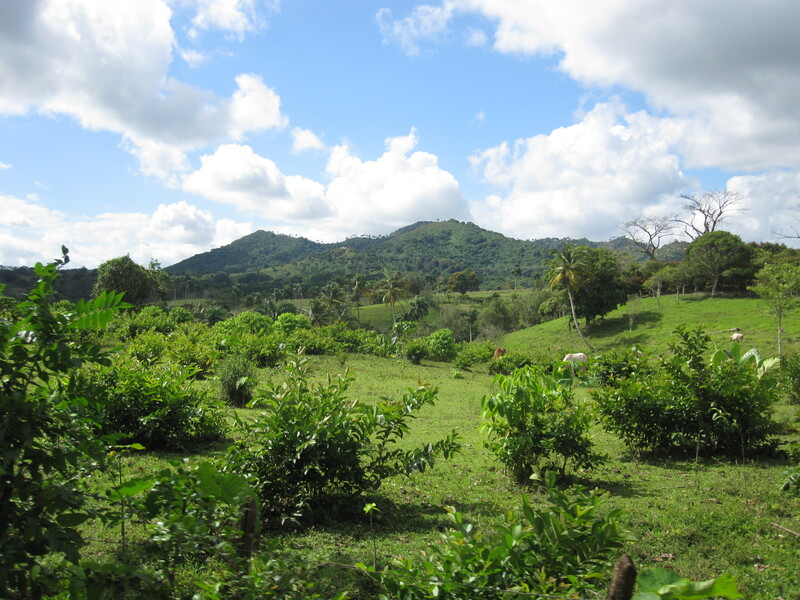 The countryside of the Dominican Republic is not so different from Nova Scotia – open fields, thick forests, farmlands and gentle rivers. The obvious difference is the mountains are much taller than our hills back home and the vegetation consists of tropical plants and trees rather than our Boreal forests, which are many made of up Coniferous trees. Making our way through the jungle. Some variety of trees here have leaves on them that could easily be used as an emergency sheltered if it were to suddenly rain. The sheer size of these leaves took be by surprised – hand me a piece of rope and some chewing gum and I would go all “MacGyver style” and pop up a tent in no time given the chance. Life in the jungle was quite remarkable. It seemed as if everyone we saw on that rough dirt road leading into the mountains was carrying a machete. The people of the jungle did not have much in the way of assets but they certainly seemed content and more than happy to share their stories of life off the grid and self reliance. River meandering through the lush jungle. 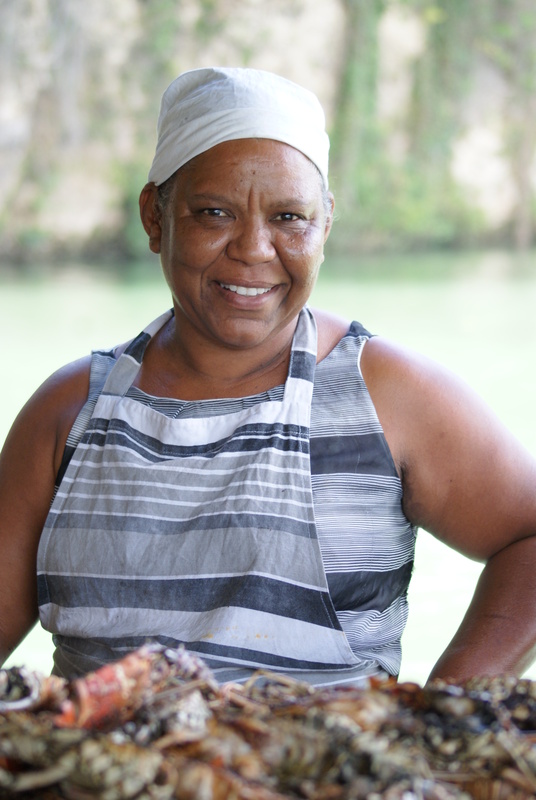 Lobster never tasted better than it did while floating down a tropical river on a raft that was clearly constructed on this very river bank. I can assure you it wasn’t “Made in China”. 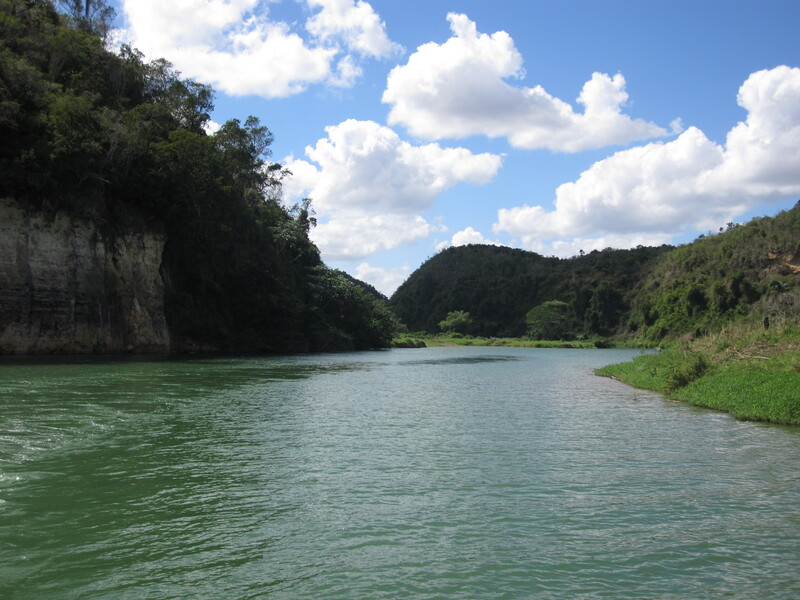 The air filled with laughter, Caribbean music and the smell of crustaceans and we danced with the locals on this calm river – which had been used to film scenes from the movie Anaconda 2. This is what of our guides had told us, I have never seen the movie so I will have to take his word for it. The day wouldn’t be complete without a good swim. Those taking to the water for a dip were mostly fellow Canadians – crazy Canucks. All this fun was eating away at my valuable drinking time, back to the resort I went to indulge in more food and never ending colorful drinks – it’s a good LIFE isn’t it!!! Pink drinks don’t make you look tough Ryan!